Iran says revoking a European court decision to lift the bans leads to loss of confidence as Iran and P5+1 are still in talks to clinch a nuclear accord by the end of June. The European Union measure to re-impose sanctions on an Iranian bank and 32 shipping companies is “unconstructive”, Iran says. 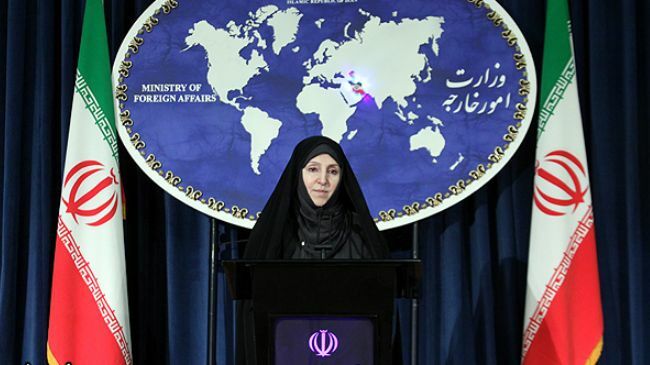 Foreign Ministry Spokeswoman Marzieh Afkham said on Wednesday that revoking a decision by a European court to lift the bans leads to “loss of confidence” as Iran and P5+1 are still in talks to clinch a final nuclear accord by the end of June. “While negotiations continue and efforts are underway for a comprehensive agreement, the EU’s measure… is unconstructive,” Afkham said. She further voiced “regret” over the EU’s neglect of “decisions by European courts”, noting that reintroduction of the sanctions “will not help the current process of the talks and causes loss of confidence”. In January, the General Court of the European Union annulled the illegal bans on Bank Tejarat and 40 Iranian shipping companies, citing lack of enough evidence against them. However, the EU’s Official Journal said Wednesday that 32 of the companies as well as Bank Tejarat are back on the sanctions list based on “a new statement of reasons”. The decision followed a mutual understanding reached between Iran and P5+1 – the United States, Britain, Russia, France, China, and Germany – in the presence of EU officials in the Swiss lakeside city of Lausanne on April 2. Based on the prospective agreement, all the sanctions will be removed in exchange for some nuclear-related measures taken by Tehran.